Sarah McKinney Gibson is Content Marketing Producer for Generation to Generation, Encore.org’s five-year campaign to engage 1 million people age 50+ to help children and youth thrive. Sarah spent the first decade of her career in market research, studying consumer behavior and identifying insights needed to develop successful new products, services and marketing campaigns. 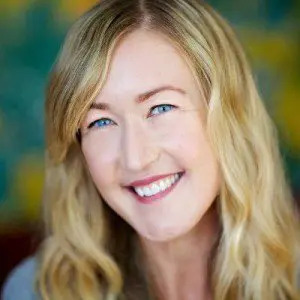 She obtained her MBA from Presidio Graduate School and upon graduation, moved into social entrepreneurship and writing, contributing to Forbes, Fast Company, GOOD and others. She joined Encore.org as an innovation fellow focused on creating bridges between younger and older people seeking purpose-driven careers. She then served as the Generation to Generation Communications Director before transitioning to focus on creative projects and content aimed at changing the narrative in our country, away from social isolation and age-segregation and toward connected, intergenerational communities. Sarah has been a passionate Encore advocate since 2010 and has written extensively on sustainability and innovative ways to think about work and careers. She lives in Los Angeles with her husband Peter and their son Charlie. She’s a poet turned singer/songwriter who loves yoga, travel, movies and food.